Traditional call tracking tells you what happens before the phone rings. Conversation Analytics tells you what happens ON the phone call. Conversation Analytics is the single biggest development in the history of the call tracking industry. Conversation Analytics actually analyzes the words said on every call and pushes those words through hundreds of algorithms to extract useful information from those phone calls. It can determine good call vs. bad call, agent performance, competitor mentions, sales readiness, close rates, and even agitation. 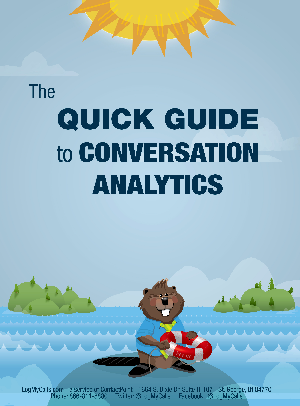 This guide describes, in 10-pages, how Conversation Analytics works, how marketers can use it, and what data can be extracted.